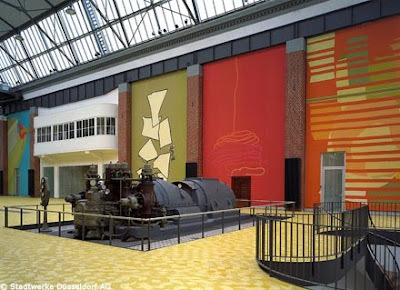 Hi all you dear followers of this blog of mine! I know, I know, it's been a bit quiet around here... and that's not because I lost interest in following Claudia's musical ways! 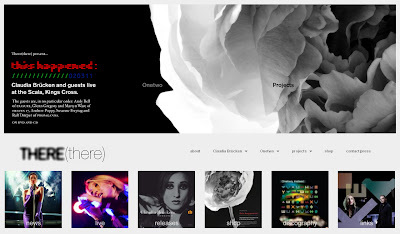 A year ago I started to work with Paul and Claudia on the new look for their theremusic.com, and there's where all my C-devotion is still going, most of the time... So, if you'd like to stay up to date with all things Claudia, and Paul of course, please join me at There(there). I'll be back, sooner or later! 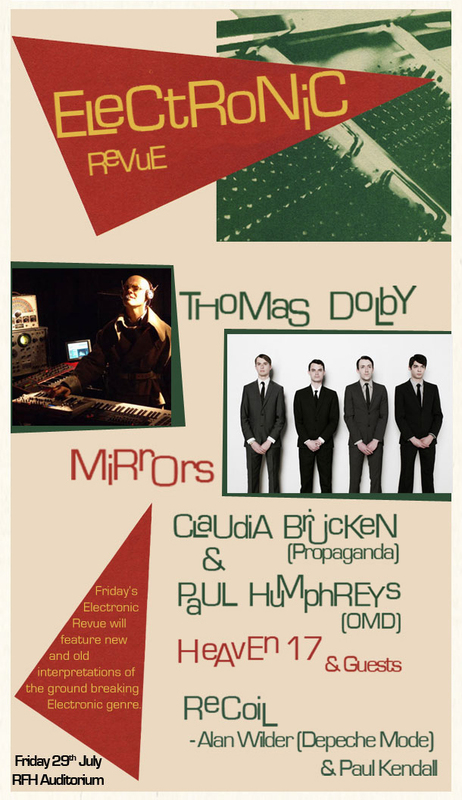 Onetwo will be part of the impressive line-up of the Electronic Phuture Revue at the already much celebrated Vintage festival on Friday July 29 2011, Southbank Centre, Royal Festival Hall, London. The Electronic Revue is curated by Mark Jones and BEF's and Heaven 17's Martyn Ware and features 'cameos from new artists and legends from the day'. More info on the festival and all ticket information at the Vintage website! The official soundtrack is available at an Amazon or an iTunes store near you...! 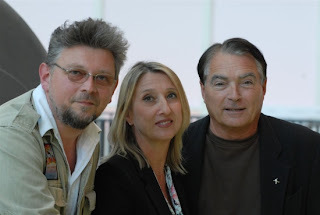 Together with Kraftwerk's Wolfgang Flür, Claudia, Susanne and Ralf (and Paul!) will be the stars of a very special electro night at the Turbinenhalle of Dusseldorf's Stadtwerke on Wednesday May 11 as part of the Eurovision Song Contest 2011 festivities. 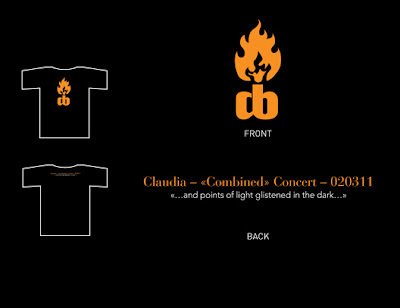 'Buy this t-shirt, the Claudia Brücken t-shirt with the flame emblem on it, the Claudia Brücken t-shirt that celebrates one night at The Scala, London. 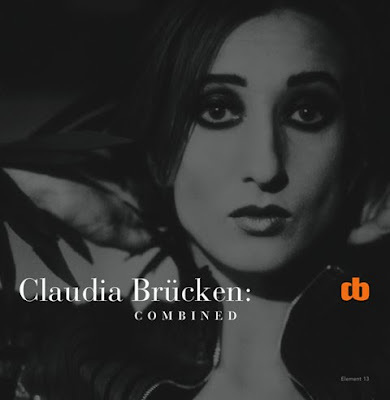 The Claudia Brücken t-shirt that's black and orange all over. Wear it so that your friends can all say, cool, that's such a great t-shirt!